A record price of €320,000 topped the strongest renewal of Goffs Punchestown Sale to date, as the highly impressive Largy maiden winner Lecale’s Article (Lot 12) was sold by Patrick Turley’s Kingsfield Stud to David Minton of Highflyer Bloodstock in a packed winners’ enclosure after racing last night. Ireland’s only boutique Point-to-Point and HIT Sale returned its highest ever average of €125,143. Turnover and median also increased, while a total of nine lots sold for six figure sums. Another star of the catalogue was Coeur Sublime (Lot 17), a striking winner first time out at Navan on Monday for Peter Fahey. The three year old Elusive Pimpernel gelding sold to Kevin Ross Bloodstock for €280,000. Evan Williams successful bid of €180,000 secured Suir View Stables’ Quoi De Neuf (Lot 9). The four-year-old son of Anzillero won easily at Ballysteen on Sunday in a maiden previously won by yesterday’s Grade 1 Champion Stayers Hurdle winner Faugheen. To view the full results please click here. “The eighth Goffs Punchestown Sale proved to be the most successful so far with a record top price of €320,000 and a record average. We felt confident of a strong sale as the stables have never been as busy and vendors provided us with a catalogue of unprecedented quality. 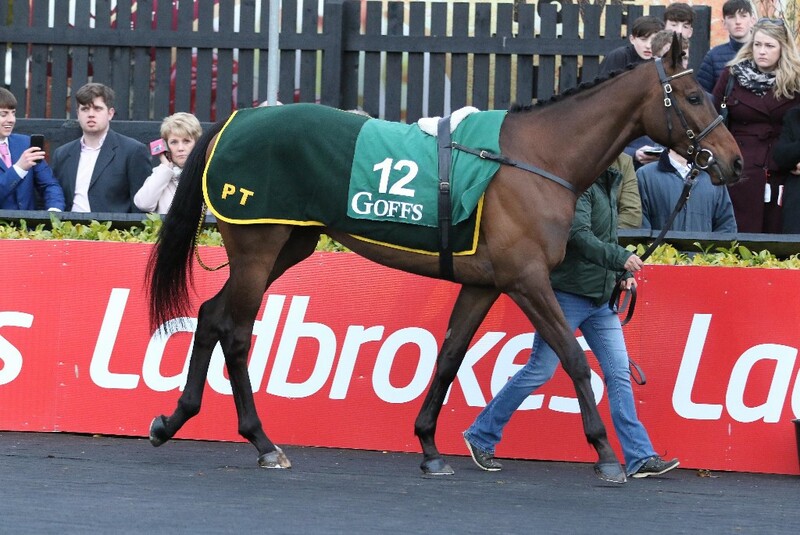 The only sale of its kind in Ireland, Goffs Punchestown Sale has shown year on year that quality point-to-pointers and horses with form sell as well here as anywhere else. We wish all buyers the very best of luck with their purchases”. The next National Hunt Sale at Goffs is the Land Rover Sale from 12 – 13 June. The 2018 catalogue for the sale that sold Altior, Samcro and Faugheen will be available online on 3rd May.